If I were to tally up the number of times I've documented my adoration for strawberries on this blog, it would be marginally embarrassing. 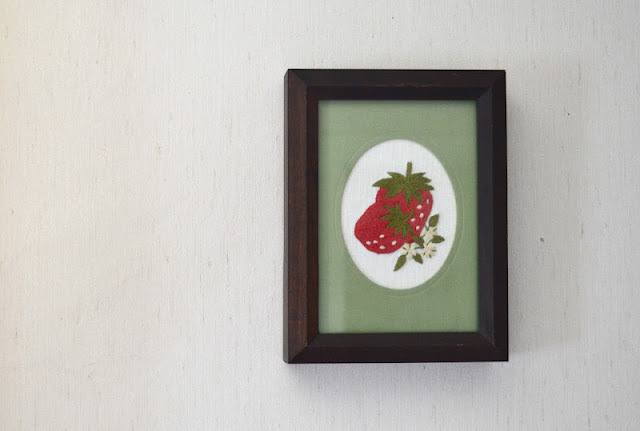 Instead, I'm going to show you my newest art acquisition--a framed embroidered strawberry--and hope that you still like me even though I'm a little bit off my rocker. 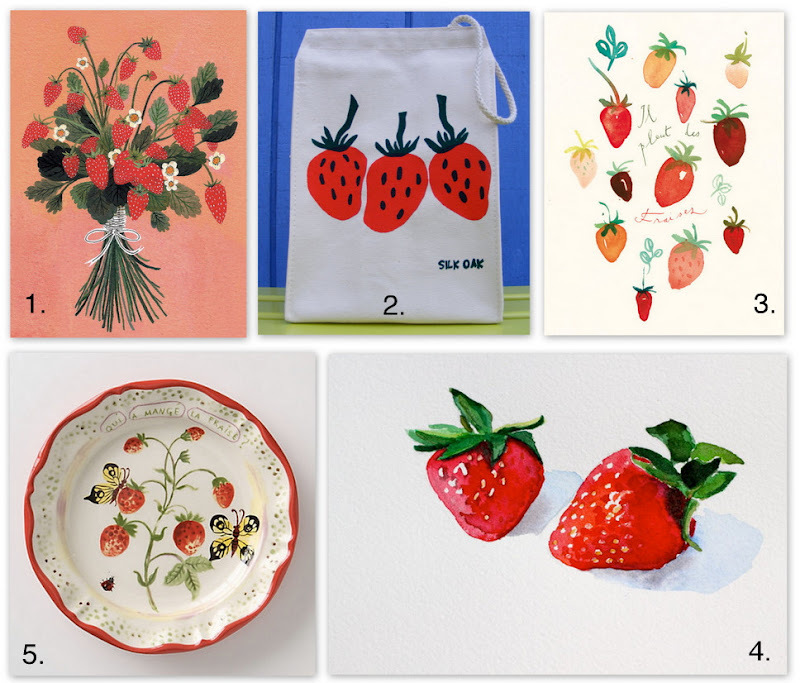 To further illustrate my kookiness, I rounded up a few other charming strawberry-themed goodies. I've got my eye on that lunch sack. We share that obsession, and I am really into embroidery too! My favorite part of spring/summer...strawberries! Were you into Strawberry Shortcake like I was?! I don't think my strawberry obsession started until I was fully grown...hence making it all the more ridiculous! I'm completely in love. 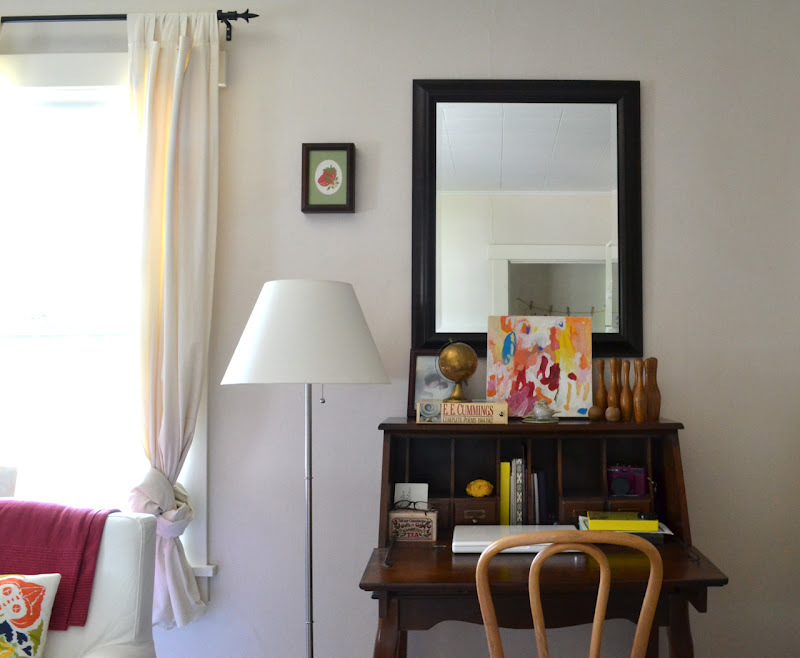 And I'm buying those Anthro plates, since I'm dying for a red-themed plate wall in our kitchen!